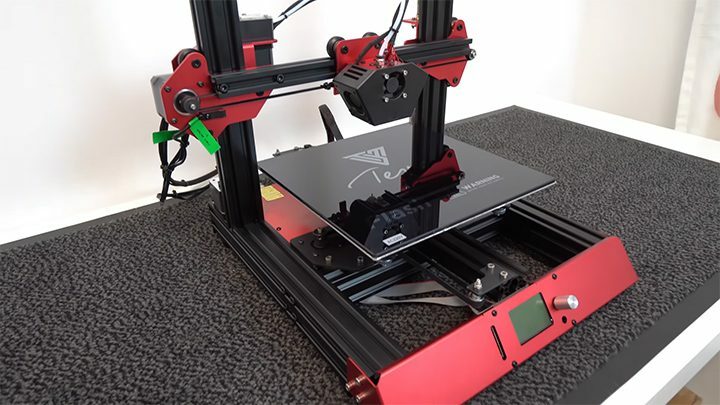 Tevo has introduced us with a new DIY type 3D printer which has already taken the eye of the consumers of the market right now. This printer has come with all sorts of high-tech features that will force you to see a peek of the things this device can offer. From its printing’s capacity to the quality of the printing, from the strong structure to its fast printing, it has delivered in all the categories possible. It is compatible to all class of users for its easy assembly. Tevo has certainly worked on every aspect possible to make this device so much fabulous for the users. The Tevo Flash 3D has a lot of extraordinary features that make it a fulfilled device to the consumers of the market. So, let’s get to know this spectacular device. Most of the printers comes with a lot of parts which need to assemble to make the whole machine. But the Tevo Flash 3D printer comes almost pre-assembled with most of the parts already attached to each other. It is almost 98 % Pre-built. So, it can be told that you basically have to do nothing to set it up. The instructions are also clearly written. Almost everyone will clearly understand the startup of this device. All parts were tested before the printer was shipped. The Tevo Flash 3D printer has a very unique and stable design for 3D printing. It has a frame made from full metal. It has a very simple & elegant design. It has such a design that it can make use of most of the space it can get to print large. It has a weight of almost 8.5 kg. Its stable structure allows it to achieve a very precise printing performance. The extruder of the printer is a Tevo Titan Extruder type. The Tevo 3D Flash printer has a very high printing accuracy. The printing accuracy of the printer is 0.1mm. 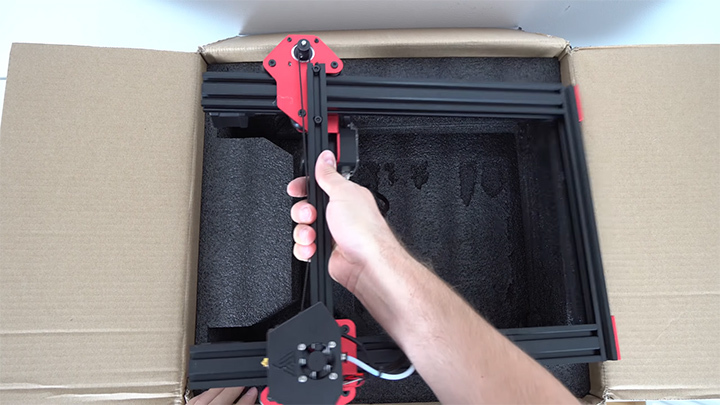 The axis positioning of the Tevo flash printer is highly accurate. It bears high precision to bear absolute accuracy of the dimension of the printing model. 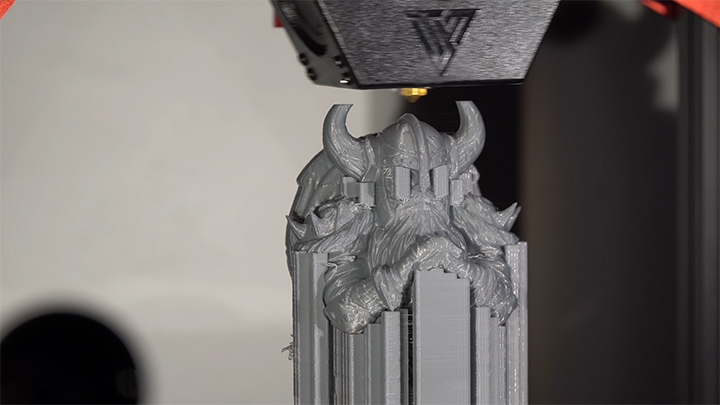 This feature enables the Tevo flash printer to deliver a highly accurate printing performance. High precision bearing is installed for better accurate printing. 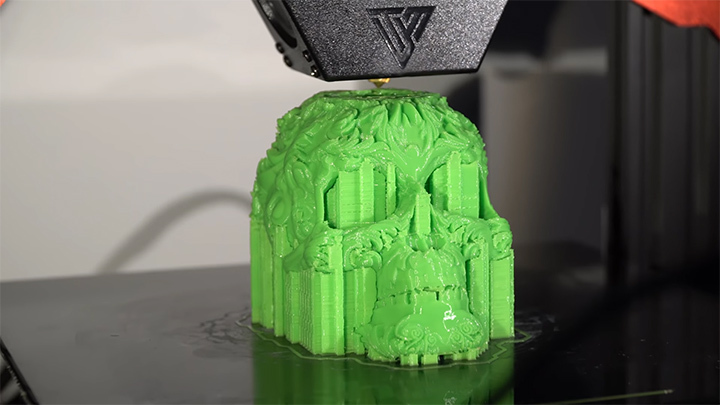 The Tevo 3D Flash Printer provides its users with a printing capacity which reaches 235 x 235 x 250 mm. This enables users to use this machine as industrial use for larger printing capacity. If you have the confidence to do something big then you have to print big to achieve your dreams. The Tevo Flash 3D printer helps the users in this regard. 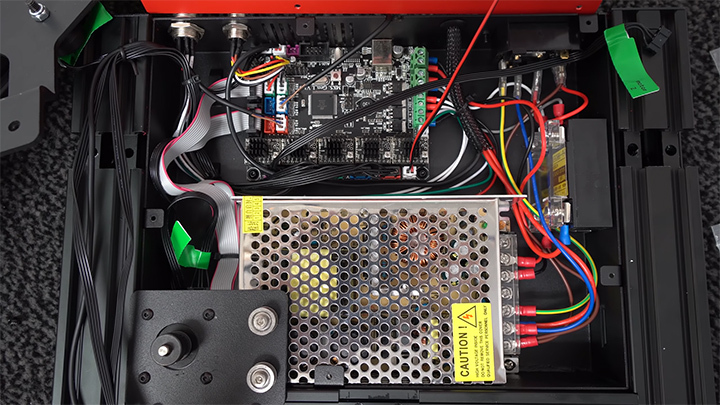 The Tevo Flash 3D printer has a large AC heated bed which allows the printer to control its temperature while the printing process is ongoing. This device can heat up to 90 degree centigrade in just 90 seconds. So, the users don’t have to wait for the bed to heat up. This feature allows users to save a lot of time as sometimes it is seen that the heating process takes a little bit time for other printers. 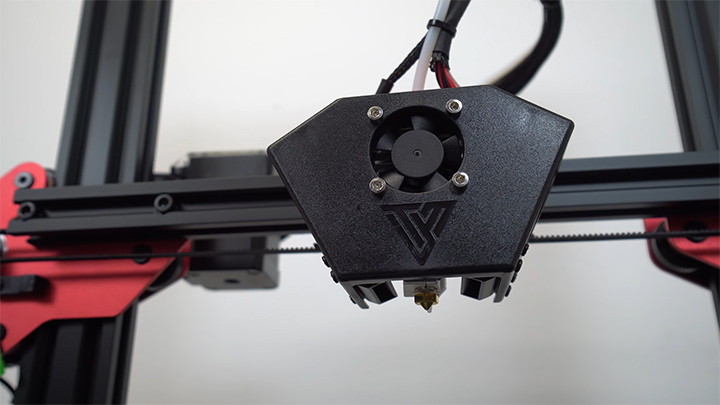 The Tevo Flash 3D printer has a specially designed fan shroud that effectively does the cooling process very effectively for the printer. Heating may cause problems as it may damage the printer hardware’s. So, cooling is a very important issue for a 3D printer. This feature of the Tevo allows the printer to heat up to the needed temperature and easily cool down without the worry of damaging due to heating. The control box cooling design also supports TMC drivers which is also upgradable. It comes with a little LCD touch screen. The LCD would be found on the middle front side of the printer, firmly attached to the base of the printer. The display allows the user to find the necessary detail of the printing such as printing speed, temperature and other info’s. it consists high contrast so the users have no problem seeing the info’s of the printing. 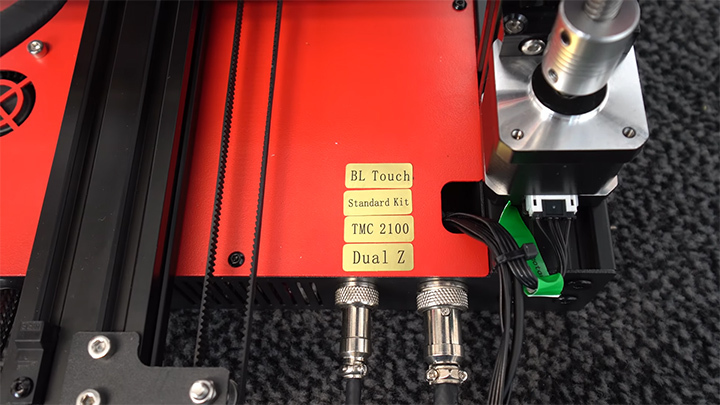 The Tevo Flash 3D printer has a BL touch upgrade feature. 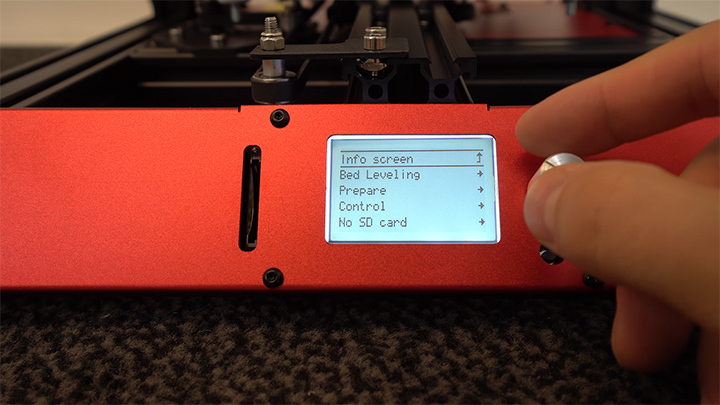 BL touch is an auto leveling sensor for 3D printers. 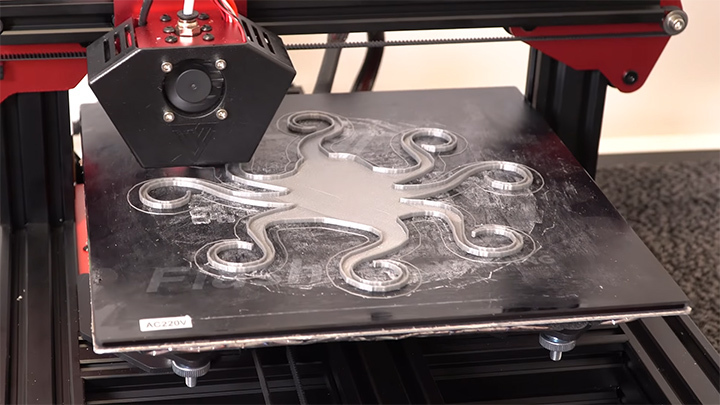 the BL Touch gifts a 3D printer the wondrous ability to calibrate its own level bed. 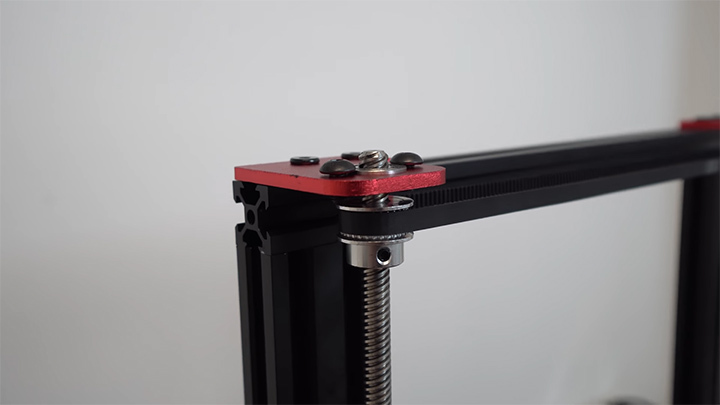 It does it by cutting out the problems of micro adjustments to thumbscrews and Z-axis offsets. The BL touch upgrade option comes with the pre-drill mounting holes. The surface that the printing occurs is a big deal for better printing. 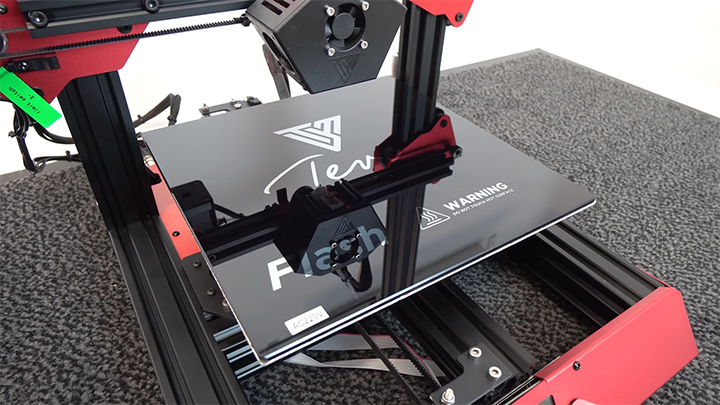 The Tevo Flash 3D printer has a glass ceramic build plate with an AC heated pad. This enables the surface to heat up faster & print straight on the plate. 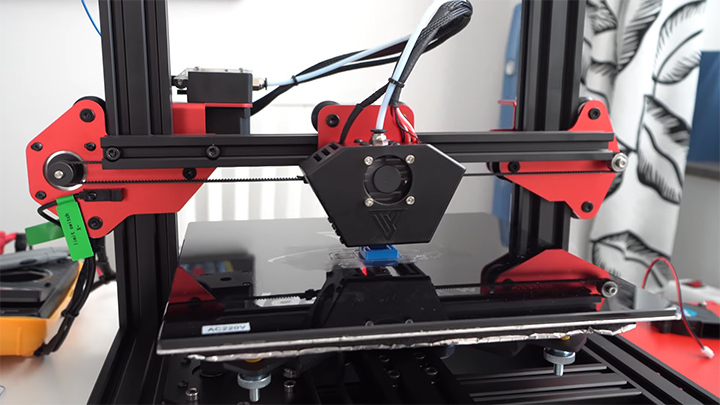 The Tevo Flash 3D printer can print straight on the plate. 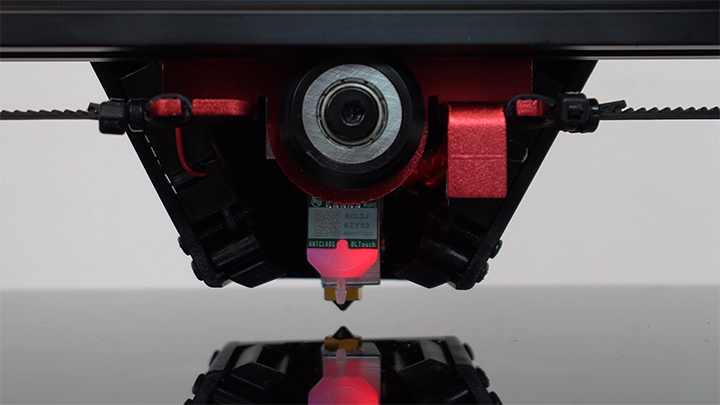 The Tevo Flash 3D printer comes with a proximity sensor. A proximity sensor is a sensor able to detect the presence of nearby objects without any physical contact. This is very much necessary when it comes to auto bed levelling. The Proximity sensor works for better homing accuracy. 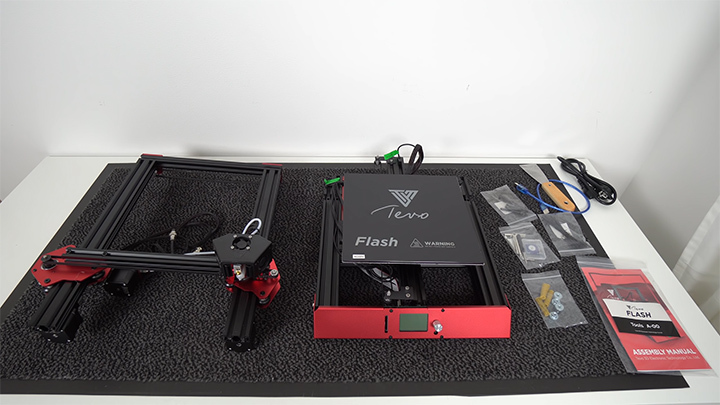 The Tevo Flash 3D printer has a very sturdy design and a solid structure. It has come with no flexing of the Z gantry. Even a small amount of flex can damage the Z gantry with minimal pressure. So, if there is flex on the Z gantry the users have to be very careful in using the 3D printer. 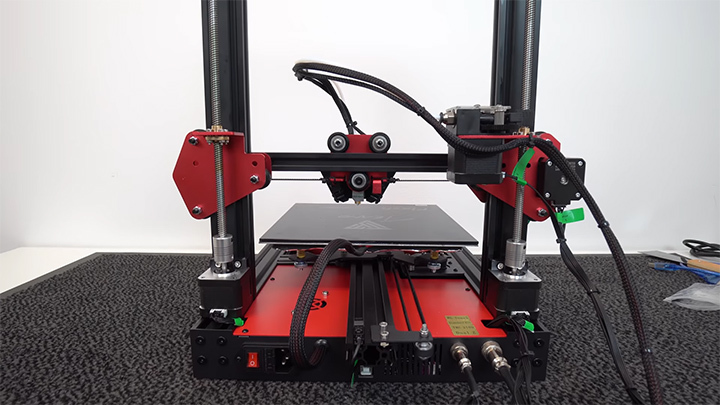 But as the Tevo Flash 3D Printer has no flex on the Z gantry the users can feel safe about using the Tevo as it also has a very stable & strong design. The Tevo Flash 3D printer has to properly tuned if you want to get the best out of the device. As the device is preassembled the users often forget about the necessity of tuning the device. This leaves out the best of the device. So, the users are requested to tune the device and see the results if the printing from their eyes. This tuning will certainly improve the quality of the printing. The Tevo Flash 3D Printer has a weight of almost 8.5 kg. So, it can be said that it is a little to heavy to carry around. The users would have a very tough time to carry this 3D printer. So as the Tevo Flash 3D printer has a very high weight it is certainly not portable. 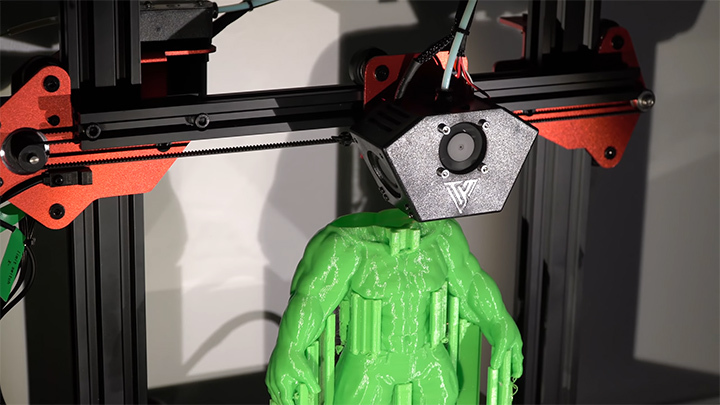 The Tevo Flash 3D printer is a superb device which offers so many cool features. It is a the most complete 3D printer. It has a very stable design & an elegant look. It provides large dimension printing with the most quality level possible. It has a state of the art cooling system that can be upgraded. It comes with a proximity sensor for better homing accuracy. The most unique feature of this device maybe its heating bed. Its heating bed is designed in such a fashion that the heat control of the device is outstanding. The printer directly works on the glass ceramic plate. 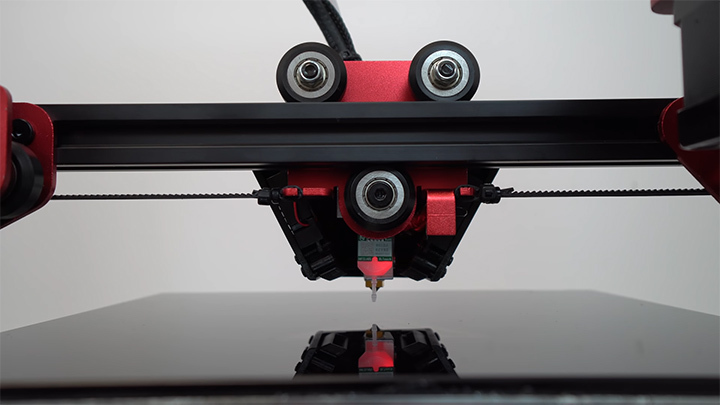 The device has a high precision bearing for more accurate printing dimension. 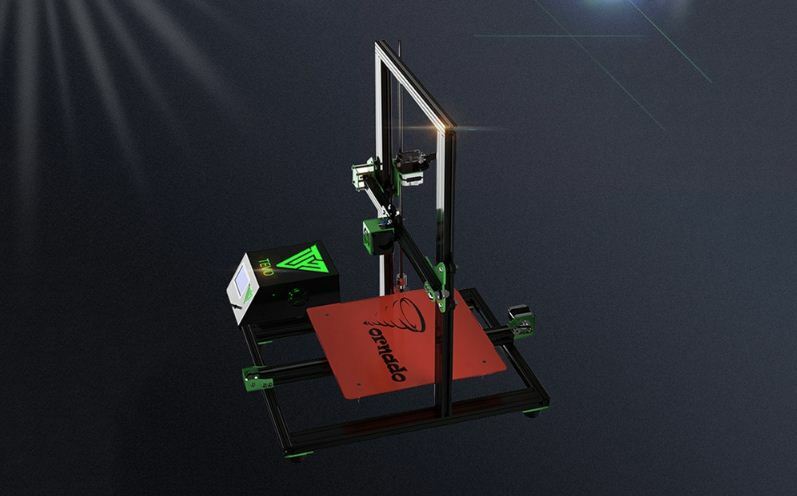 So, it can be said that this is the ultimate 3D printer in the market right now. It has all the features a 3D printer user can dream off. So, without any delay do ensure your purchase right away if this amazing device meets your demands.